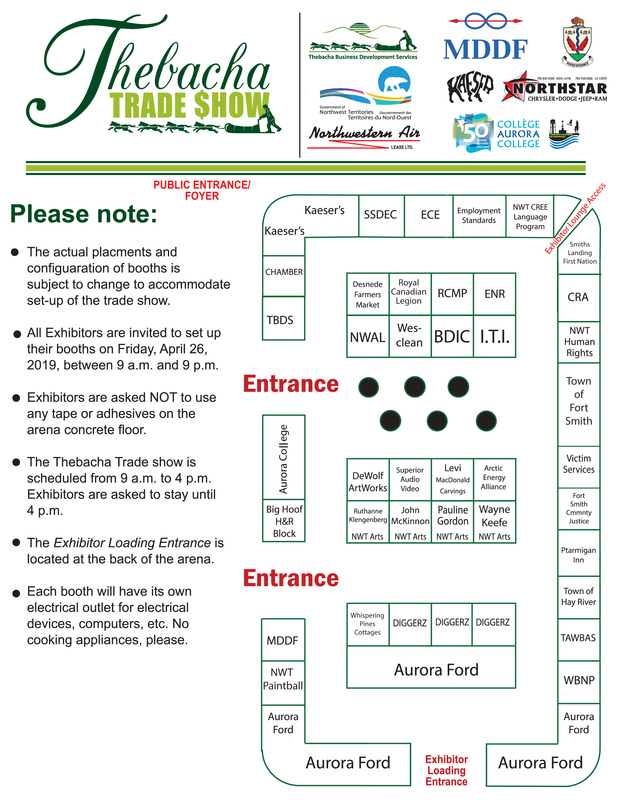 The 2019 Thebacha Trade Show organization is well underway and scheduled for Saturday, April 27! Thank you to our Gold Sponsors, Northwestern Air Lease, and Aurora College, which is celebrating its 50th Anniversary this year! Congratulations Aurora College. The Town of Fort Smith is a Silver Sponsor again this year, along with newcomer NorthStar Chrysler as a Silver Sponsor. Be sure to click on their names and find out what’s happening in their worlds. Thebacha Chamber of Commerce is a Bronze Sponsor. The 2019 trade show booths are selling quickly, if you want one, don’t delay, register today! The booth map as of Feb 13, 2019. If you have a favourite spot, contact us before it’s gone! Call Linda at 872 – 2795 or email tbdsmanager @ gmail.com. We’re less than a month away now! It’s getting exciting! Exhibitor swag bags have just arrived with the goodies to go in them. 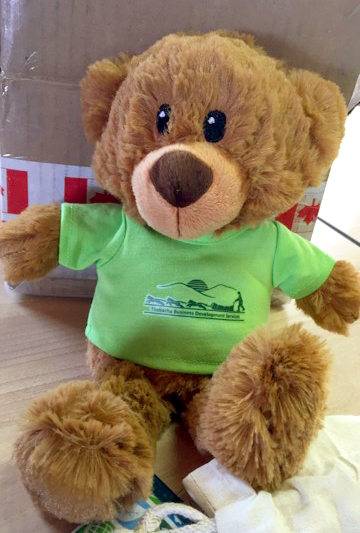 And, I have to say, this has to be the most adorable swag to date! Thebacha Trade Show 2018 has been scheduled for April 28, 2018! Get your 2018 Registration here!